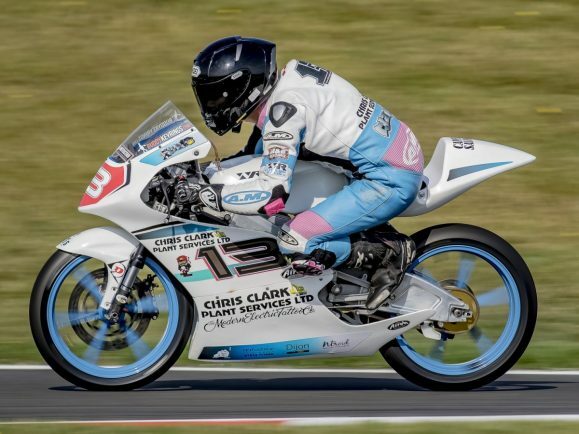 BROMSGROVE Moto3 ace Jake Clark endured a tough weekend at the sixth round of the Hel Performance British Motostar championship at Cadwell Park. He suffered a big crash in the first race at the Lincolnshire circuit which resulted in him being taken to the medical centre. After being looked over it was decided to transfer him to Hull Royal Infirmary for further investigations. Thankfully Clark only suffered bruising and was feeling very sore. He had hoped to ride in the second race of the weekend but when the team were checking over the bike they noticed the frame had cracked which curtailed his weekend of racing. The weekend had started well, with Clark within the top ten throughout the pre-race sessions. After setting a time of 1:38.850 in qualifying, he lined up ninth on the grid. During the early laps of the race he further reduced his lap time to 1:38.159 before he crashed coming out of Coppice on the fourth lap. 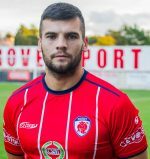 Clark said: “I’m gutted. I felt confident and my lap times kept improving. “Unfortunately the crash in race one broke the frame and so we couldn’t take part in the second race. Clark will hope for better luck in the next round at Silverstone from September 7-9.